Sibulele is a South African young woman activist born and raised in the Cape townships. 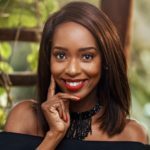 Sibu, as she is fondly known, has pushed all of life’s boundaries to arrive at her current point of destiny. Orphaned by HIV/AIDS at a young age; Sibulele has endured many tragedies without succumbing to them. It was therefore natural for Sibu to be a part of a social enterprise committed to the emancipation of the impoverished and the empowerment of the previously disadvantaged primarily for those who like Sibulele are also orphaned by HIV and Aids.